Hi girls! 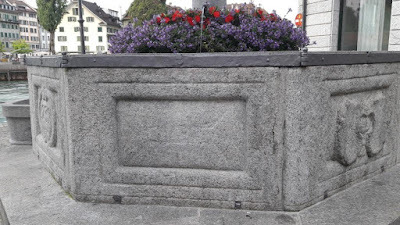 Having come back from a wonderful two week family vacation in Switzerland, while I was spoilt for subjects/places that I could base my blog on, I decided on a slightly off-charter but a very interesting one to initiate - The water fountains of Switzerland! 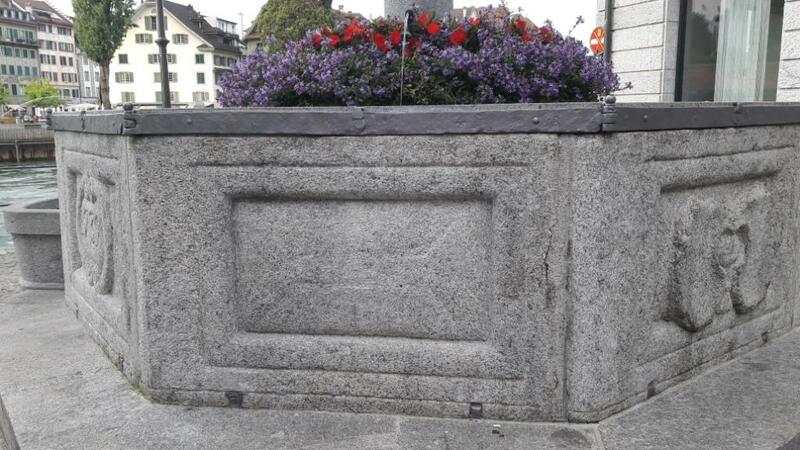 So it came as a pleasant surprise, when we were informed on our first day itself in Basel, Switzerland that we could drink water safely from any of the public fountains across the country. Water supply across Switzerland comes directly from the mighty Alps. Even the rivers, lakes, creeks and all small and big water bodies that we encountered have such crystal clear blue-green waters that you can sometimes see the rocks on the bed! Coming back to the water fountains, not only is the water potable but it is refreshingly cold – almost like snatching up a bottle from your refrigerator! After a while we even stopped refilling our water bottles from the hotel bathroom taps, as it was just not comparable to the cool glacial fountain water. The fountains are ample in quantity and can be found in almost all the city squares and piazzas, so we really did not have to worry about limiting our water consumption in fear of not finding a fountain nearby. But the feature that caught my intrigue the most was that these are not just utility taps but works of art. Each one is vintage, decorated with flowers and carvings and almost unique. I don’t recollect any two fountains being similar to each other in terms of their looks! So not only are you getting cool Alpine water to quench your thirst but you are also being treated to a visual feast of old-world sculptures without visiting any museum! !